Kaela (left) and her friend Nicole! Attractions! 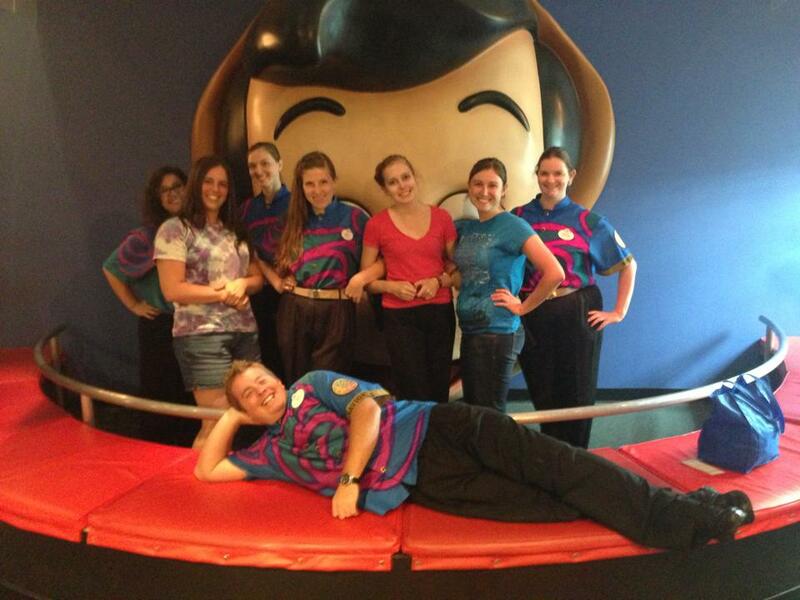 I worked in Downtown Disney at DisneyQuest. A typical shift would start between 2 and 4pm til 10:30pm. I would get there, clock in, get my assignment and then head out on stage! There was a rotation at my job so you were never in a position too long, and I would spend the time either operating a ride or in a greeter position. It wasn't in my top 3 originally but I am really happy that I got it! It was super hands on and I had lots of guest interaction, and I really got to see firsthand how much fun they were having. My favorite part was that I really really adored my coworkers and managers, and I got to interact with tons of people every day and really have an impact on their vacation. My least favorite part was dealing with difficult guests...but there weren't too many of them that I had any serious problems! My last week of work, we were at outside greeter and saw a little girl in a wheelchair dressed in her most beautiful Rapunzel dress. We talked to her mom and found out she was confined to her wheelchair. We talked to them for a while and omg this girl was so full of life and energy that we absolutely adored her. We decorated her chair with flowers and ribbons, calling it her "carriage", and made her a crown from maps! Her mom absolutely loved it and I felt like we really were able to make some magic for them. Kaela's last day of work with all her friends! I've done it I am so happy I did! I probably would have just read more about the program in general. I wish I would have known more about the rules and policies and things like that, because there was never a lot of clear answers on things like that, which is partially why I started my own blog to tell people what I wish I knew! Attractions is soo much more than just "pressing buttons" to run rides! and get ready to adjust your sleeping schedule because you will alllllways work closing shifts! DO IT. Seriously, this is the best experience I've ever had and I have not regretted it even once. I've met the best friends of my life and had sooo much fun doing it, but also grown up and learned a lot about myself. DO THE DCP! 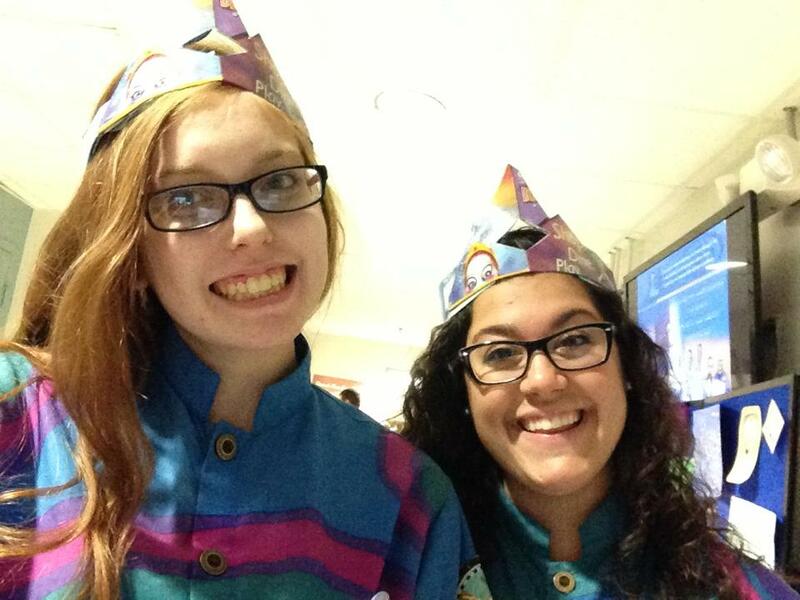 If you have any questions for Kaela about her experience or her role in DisneyQuest, feel free to contact her through her blog, here!